BACK HOME: Tonight marks the first of four meetings with the Wild this season, and the first of Iowa’s two visits to Tucson Arena. The Roadrunners are playing the first of a six-game home stand; they’re coming off of a 3-1 victory over the Grand Rapids Griffins on Wednesday night. The Wild are playing the first of a two-game road trip; they’re coming off of a 2-1 overtime loss to the Rockford IceHogs on Wednesday. THE COMING OF CROUSE: Lawson Crouse, assigned to Tucson on Wednesday from the Arizona Coyotes, is expected to make his Roadrunners debut tonight. Crouse has played in two-career AHL games, both with the Portland Pirates during the 2015-16 campaign while in the Florida Panthers’ system. Crouse went without a point in seven games with the Coyotes this season. DEFENSIVE DIRECTION: The Roadrunners have allowed only five combined goals in regulation time during their past four games, including one shutout. The team has clamped down in the defensive zone since surrendering seven goals to San Diego in their home opener on October 7. 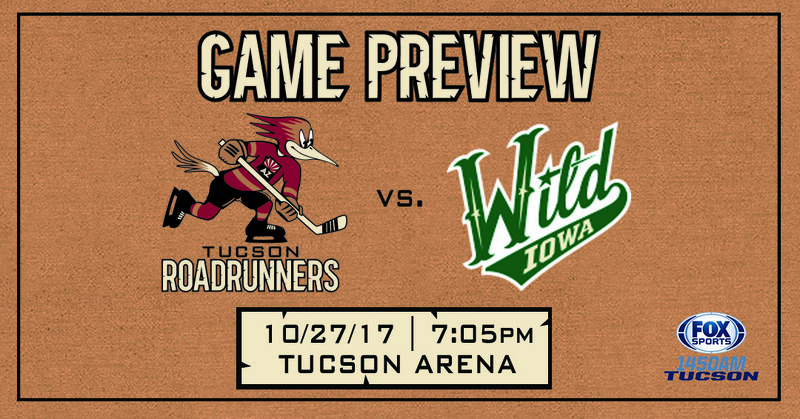 Can the Roadrunners keep an Iowa offense – that has scored just six goals in its past three games combined – quiet tonight? Morning moves. #IAvsTUC tonight at 7:05 PM. KILLING THE GAME: The Roadrunners have successfully killed off 15 of their last 16 penalties, dating back to October 14’s 4-0 win over the Bakersfield Condors. The Iowa Wild come into the night with the AHL’s fourth-worst power play unit, chiming in with a 5.6% success-rate, going 2-for-36. 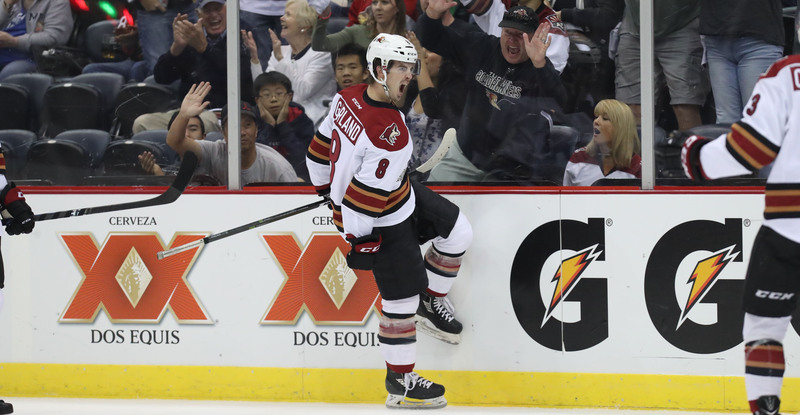 Can the Roadrunners’ penalty kill continue to thrive tonight? STREAKING: The Roadrunners are without a regulation loss since opening night, pocketing standings points in four straight games with a 3-0-1-0 mark. Can the team earn its first win on home ice tonight while extending their points streak with a victory over Iowa tonight? CELEBRATING CUNNINGHAM: Craig Cunningham’s #14 will be retired and raised to Tucson Arena’s rafters as a banner prior to tonight’s affair. The ceremony is scheduled to start at 7:02 PM.